CAD instruction, assembly procedure, video or sending engineer, etc. Kindergarten, Park, School, Community, Supermarkets, etc. Plastic woven sack packaging in wooden case. 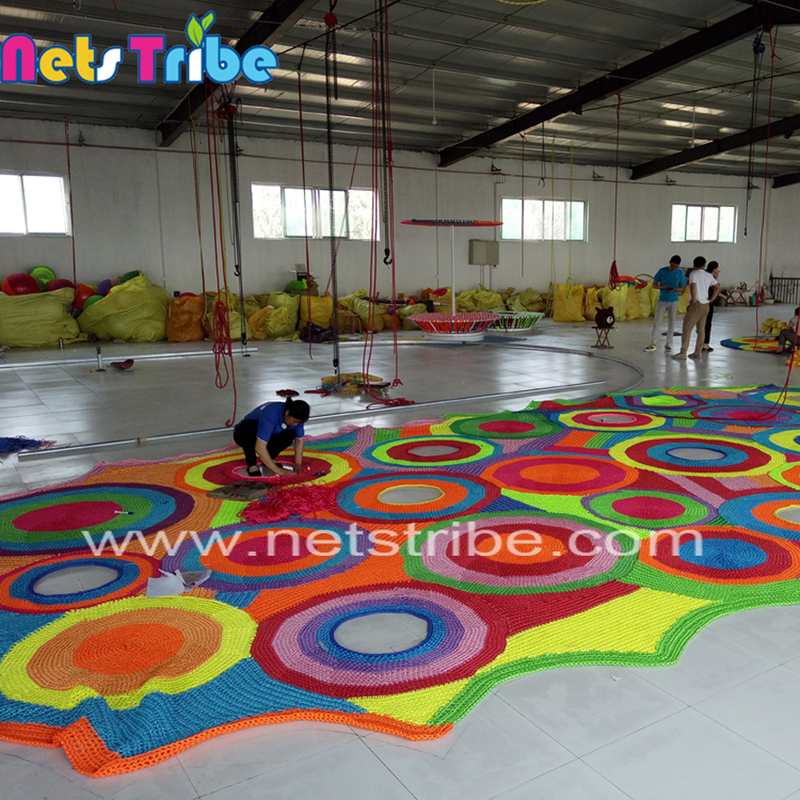 Honeycomb is a kind of soft play maze net for indoor & outdoor amusement center, and can build in kindergarten too. It is a new type hand crocheted climbing net. The scattered holes always bring kids surprises. Yoga balls hanged under honeycomb allow kids to swing . Colors can change according to theme color. Kids play on it, they develop social skills, learn to cooperate, and gain wisdom about young age. 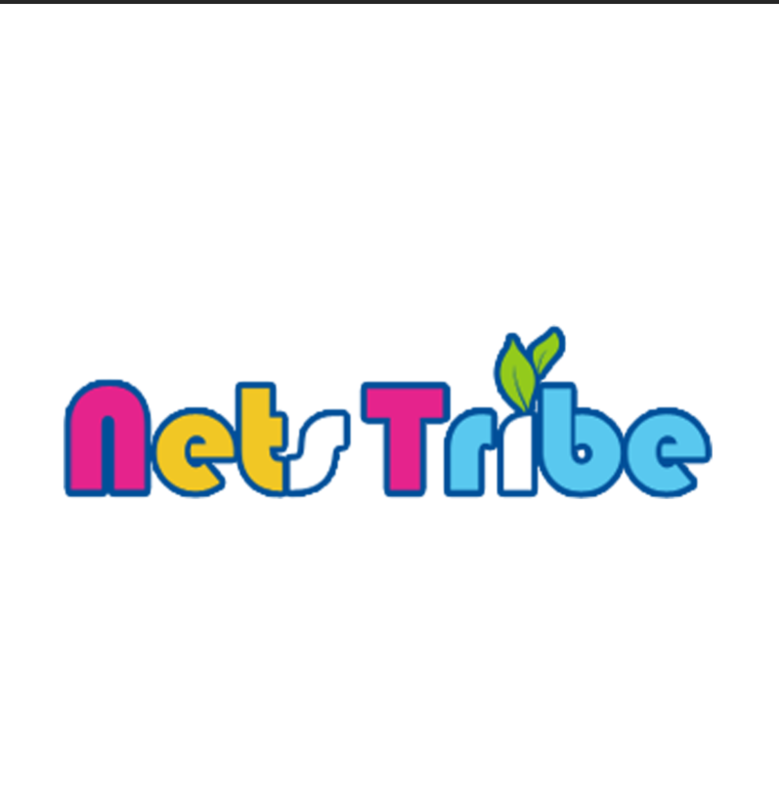 Nets Tribe is a children’s amusement project found by The Blue Ocean Protection Article Company. We have been focused on children’s amusement market for 15 years. We design and produce soft rope nets for children to enjoy climbing, and get amusement, intelligent exploitation and physical exercise. We have professional technical team and workers, they all have rich experience in kids sports & entertainment industry. Our factory is located in Binzhou Shangdong province. We welcome you to visit. A: Yes. We have the design department with professional designers. If you can provide us the pictures and size of your play area, and the theme you prefer, our designers could make the design according to your special requirements. Q: If I have an indoor playground of 100sqm, how many kids can be accommodated at one time? A: Normally 100sqm indoor playground can usually accommodate 30 children at one time. 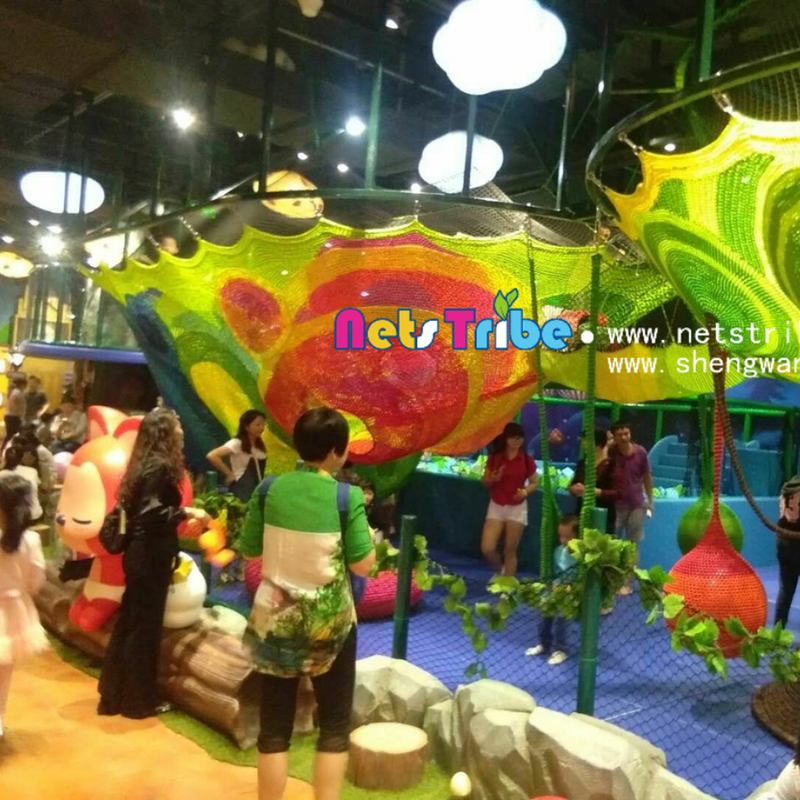 Q: How to install the indoor playground? A: The installation will be guide by CAD instruction, assembly procedure and video. We can also dispatch our technicians to your country to guide the installation. But you should pay for the round-trip ticket and accommodations. 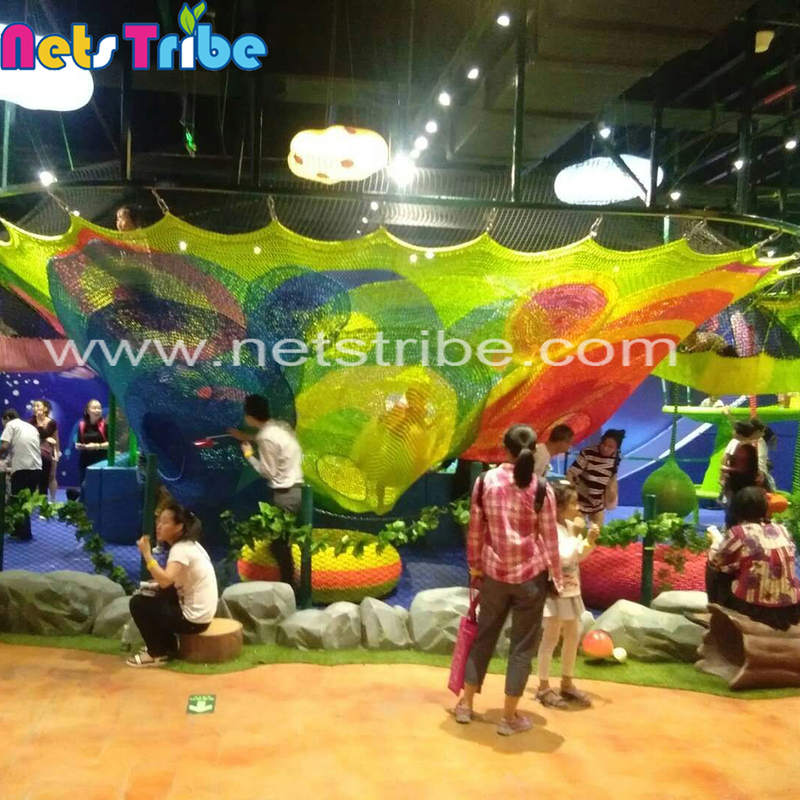 A: The main material of indoor playground is steel frame and soft foam and high strength nylon. 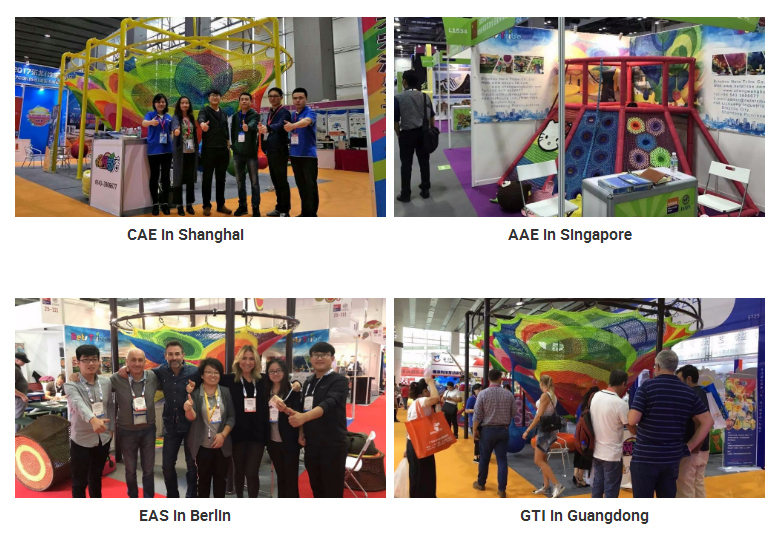 A: As a professional manufacturer, we will provide free playground equipment design with CAD & 3D models, quality products with low maintenance, maintenance consultation, meantime, it will be very easy to do the sourcing to meet all your needs.